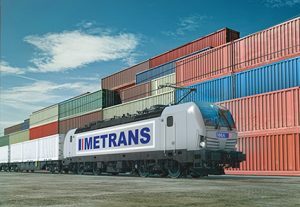 Metrans has ordered 10 Vectron MS locomotives from Siemens Mobility Czech Republic, which will be built at Munich-Allach factory. The deliveries are scheduled from the end of 2019 until spring 2020. The locomotives have a maximum output of 6.4 megawatts and a top speed of 160 km/h and are equipped with the required national train control systems as well as the ETCS. The locomotives are certified to operate in Austria, the Czech Republic, Germany, Hungary, Poland and Slovakia. Future upgrades for Bulgaria, Croatia, the Netherlands, Romania, Serbia and Slovenia are possible. With this order, Siemens Mobility celebrates its 900th Vectron sold.